Upper Crust Pizza Cafe is a take-out Italian restaurant in Downtown Celebration. They have a few outdoor tables in front of the restaurant that always seem to fill up fast. I've gotten food here multiple times now, and I've noticed the pizzas are highly inconsistent. On some visits, according to my pizza standards, I find the pizza to be really good. 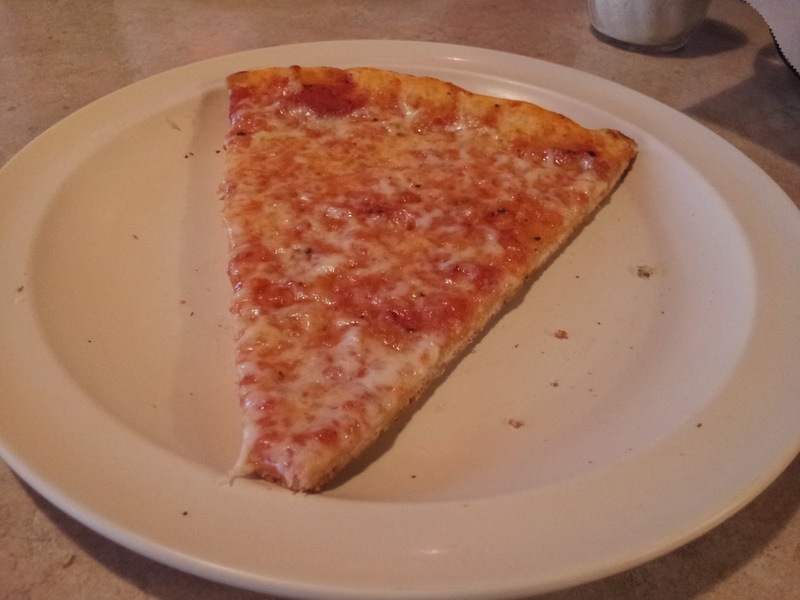 On other visits, the pizza is so bad that I have trouble finishing a single slice. Regardless, I end up trying Upper Crust again and their pizza is good again. Perhaps it's different cooks that have drastically different pizza making styles, but inconsistency probably isn't good for a restaurant. On my latest visit to Upper Crust, I tried a pizza called The Diego. The pie was topped with ricotta, fresh tomatoes, and spinach. This visit to Upper Crust resulted in a better pizza. They were very generous with the amount of toppings, especially the ricotta. Wasn't the best pizza I've ever had from Upper Crust, but it was far from the worst. I suppose I caught them on a good day on this visit. Coke Rewards. They are the codes hidden somewhere on the packaging of Coke products that you accumulate and can trade in for stuff. I don't drink much soda, but I've amassed lots of these points over the time period that Coke Rewards have been offered. My problem is that I don't want the majority of the stuff that I can get by redeeming my points. When I knew I was going to Atlanta and saw that tickets to the World of Coca-Cola were available, I decided to trade in some of my points for a free visit to the soda museum. I really didn't know what to expect with the World of Coca-Cola. I figured the museum would be a big advertisement for Coke, but advertisements disguised as museums are fun sometimes. The World of Coca-Cola started with a weird animated movie that seemed to have very little to do with soda, besides giant Coke bottles in the background. There was a 4-D movie that was so unpleasant that is seemed like whoever made it went to the Orlando theme parks and took the worst parts of all of our 3d movies and combined them into a horrible eight minute show. There were disappointing exhibits like an example bottling plant that wasn't working and an exhibit about the top-secret Coke recipe that showed you absolutely nothing. The only exhibit that I actually found interesting contained lots of Coke memorabilia. This contained stuff like the actual Coke dispenser that once rode on the Space Shuttle Challenger. 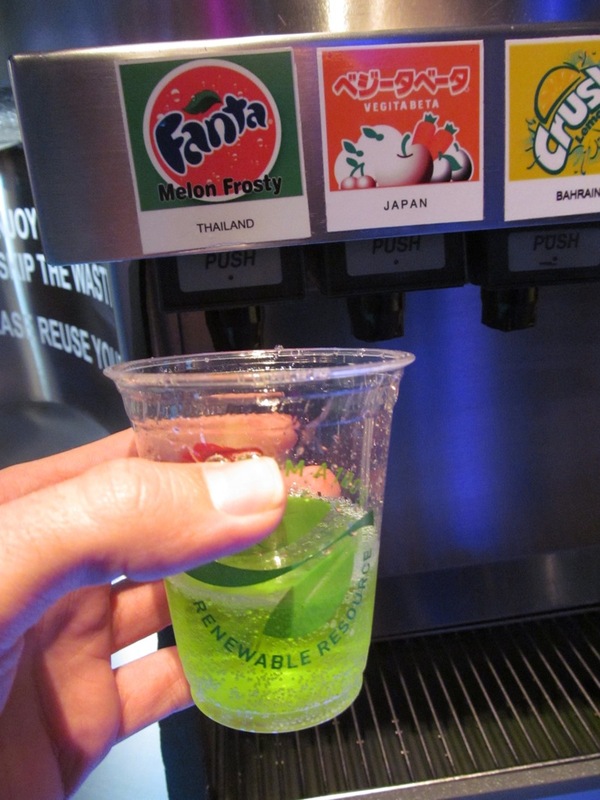 I enjoyed the bright green Melon Frosty flavored Fanta from Thailand. This pine nut flavored soda called Bibo from South Africa was interesting. I wouldn't think that pine nuts would make a popular soda flavor, but it was tasty. I was trying to think of something similar that I could relate it to but it had a pretty unique taste. Right before you got to the exit, they gave everyone a glass bottle of Coke with special labels from the World of Coca Cola. I spent a weekend in Atlanta and found myself looking for a late dinner around midnight on a Saturday night. I could have taken the easy way out and went to a 24 hour chain like Ihop or find diner, but that would be too easy and boring in a big city like Atlanta. There was bound to be something open that was a bit more interesting. After a quick search on my phone, I found a restaurant called Gladys Knight's Chicken and Waffles. It was open until 4am, was less than a mile from where I was at the time, and had the interesting gimmick of having a musician's name attached to a restaurant. My late night dinner was decided. Gladys Knight's was a pretty fancy looking place, although the police officer standing guard near the restaurant entrance was a bit unusual. I wonder if the restaurant had issues with waffle robberies or drunken brawls over waffles at 3am? The menu consisted of chicken and waffles, shrimp and grits, as well as other southern foods. I was tempted to get the shrimp and grits for a moment, but then I remembered the restaurant's name. Because of this, I ordered the Midnight Train. As described by the menu, this consisted of four southern fried jumbo chicken wings and one original waffle. The chicken wings were surprisingly large and the crispy fried batter had nice flavor. The waffle was what I expected with nothing exceptional. I'm not an expert in chicken and waffles, but I've had this dish at several different places now and everyone seems to do it differently. On this particular version of the meal, the chicken and the waffle were pretty much two separate items served together on one plate. I don't know if this is a more traditional version of chicken and waffles, but I've preferred it when the chicken and waffles have a little more cohesion between the two components. I was very indifferent with the Midnight Train from Gladys Knight's. Wasn't bad, but I don't think I'd come bad to get chicken and waffles here again. I was in south Florida not too long ago and found myself at the Food Truck Invasion event that happens every Monday at Young Circle in Hollywood. I had already eaten dinner for the evening at the nearby Mauro's Pizza, but I decided to find something for dessert from a food truck. 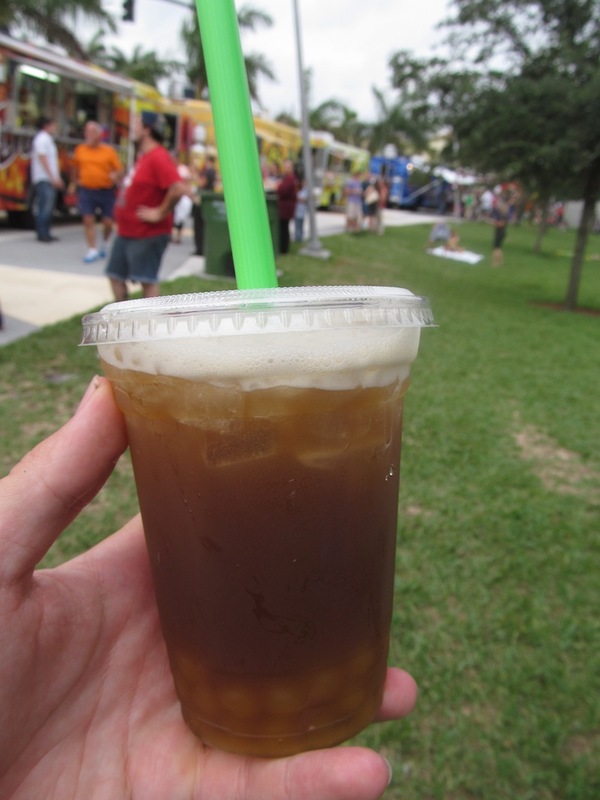 That dessert soon morphed into a glass of boba tea from a truck called Boba Station. Boba Station had a nice selection of different types of iced teas, milk teas, and smoothies on the menu. All of the drinks included a choice of boba toppings. I had a ginger green tea with mango popping boba balls. Out of all the boba tea that I've had in the past, Boba Station was the first to use actual tea. It seems everywhere else I tried uses powdered flavors that seem similar to Kool-Aid. I suppose that isn't a bad thing for all the exotic flavors, but using flavor powder doesn't seem very much like tea either. At the Boba Station truck, actual iced green tea was used in the drink. Real slices of fresh ginger were floating around in the cup giving the tea a nice spicy kick. The mango flavored boba was recommended by the person taking my order as a good flavor combination with the ginger. I have no complaints about my boba tea from this truck! Metro Espresso Pizza Cafe is located in a building adjacent to Lake Eola Park in Downtown Orlando. After a recent visit to the park, I decided to try the pizza at this restaurant. We were seated and then proceeded to wait a very long time for drinks, giving our order, and for the food to be finally served. We were there between lunch and dinner, so the place wasn't exactly busy with two other occupied tables in the restaurant. There didn't seem to be a reason for the very long waits between seeing our very distracted server, but eventually our food came. I've read a bit about the Taco Bus in Tampa. It's number four on Urbanspoon's list of Tampa's Best restaurants and I've heard people talk about going to visit the Taco Bus whenever in Tampa. 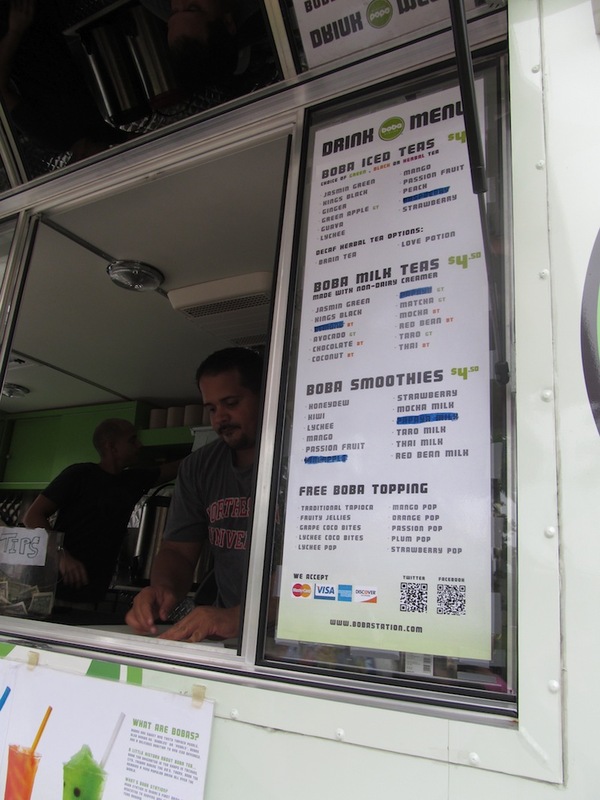 From what I can gather, the Taco Bus started as a food truck and has grown into several permanent restaurants and trucks all around the Tampa area. Hearing so much about this Mexican food truck, I figured it was about time I give Taco Bus a try. I think I visited the original permanent Taco Bus location on Hillsborough Avenue in Tampa. It looked like they bought up several old buildings including what appeared to once be a restaurant as well as a motel. Not sure what they actually do with an old motel, but at the center of the complex was the Taco Bus itself. The white bus doesn't look like it's going anywhere any time soon, but still serves as the kitchen for the restaurant. I ordered tacos filled with something new to me. I chose cochinita pibil as my filling, which was described on the menu as shredded pork marinated in achiote and bitter orange, then wrapped in banana leaves and slow roasted in a smoker (based on a 5,000 year old Mayan recipe!). I went with their combination which came with the tacos, rice, and refried beans. The tacos were interesting. They came on corn tortillas with tomatoes, onions, cilantro, and lime topping the meat. I wasn't really sure what to expect with the pork, especially since I wasn't even entirely sure what achiote was when ordering (hurray for Wikipedia). Unfortunately, the pork wasn't as flavorful as I was hoping for and was actually sort of bland tasting. It was still nice and tender and the tacos got their flavor from everything else in them. I stopped into Which Wich in Lake Mary one afternoon for lunch. This chain once had a location in the Altamonte Mall that was very short lived, and now they have reopened here. 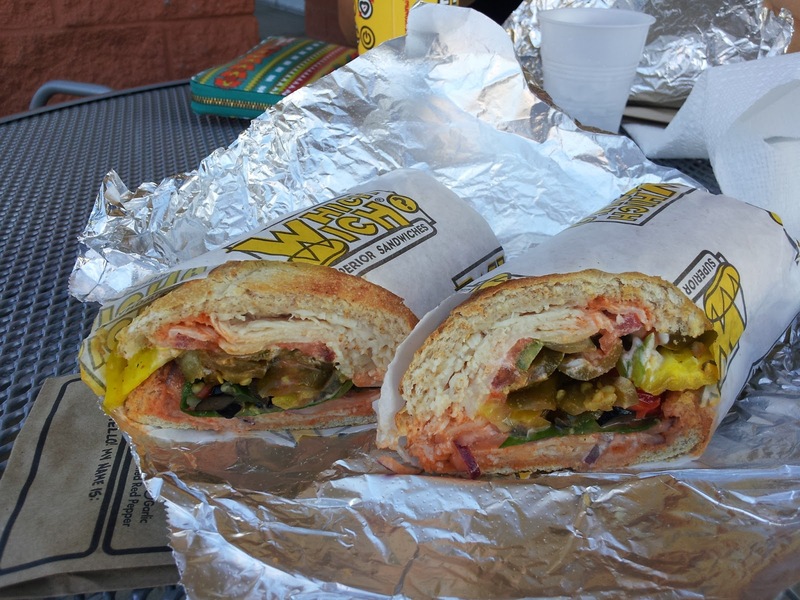 According to the Traveler Foodie blog, there's also a Which Wich in the Dr. Phillips area. Other than that, I'm not familiar with any other locations in the area. I found Wich Which had a slightly confusing ordering system until you figure out how it works. They have numbered paper bags hanging on the wall, with each number referring to a different type of meat. Once you pick your bag, you then take a sharpie and check off all the toppings you want on the sandwich. Problems occur if you change your mind and want to uncheck something. Hand the bag over to the cashier, pay, and your bag is passed to the sandwich maker who assembles what your bag says.